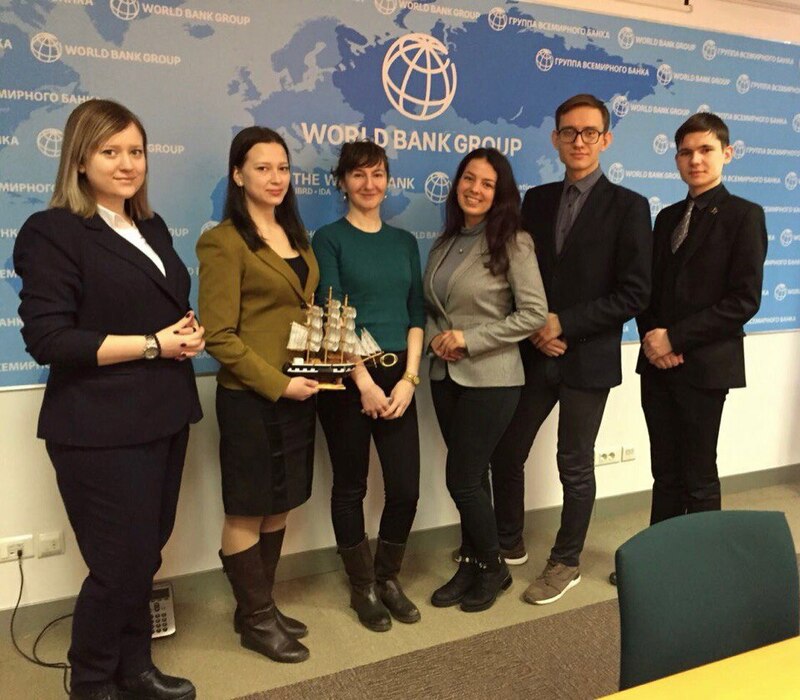 On March, 10-24 the All-Russia Children Center “Okean” conducted the “Young Diplomat” program for high-school students of 8-11 grades aimed at providing the youth with necessary competencies for their future career and social involvement. 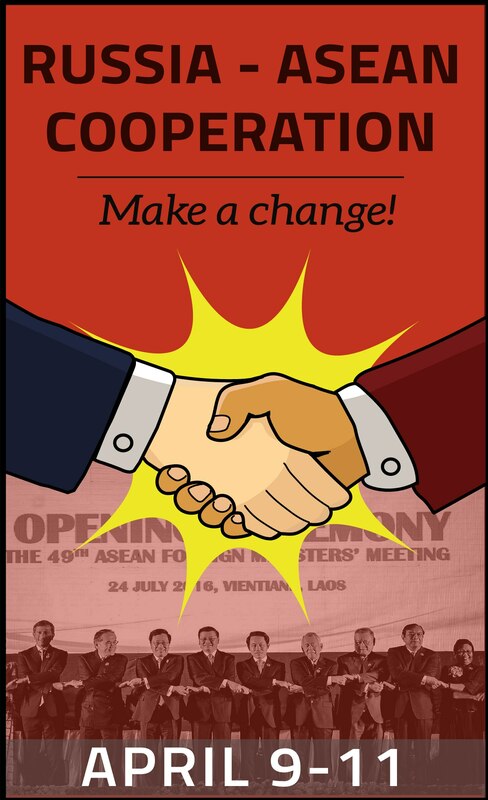 This time, MUNRFE was privileged to become the co-organizer of this event and incorporate Model UN segment that included a set of lectures and trainings as well as final debates that applied the procedure of Model UN. MUNRFE members delivered lectures on public speaking, project management, leadership, time-management, goal-setting, international organizations, the UN system and Sustainable Development Goals, as well as conducted entertaining trainings. 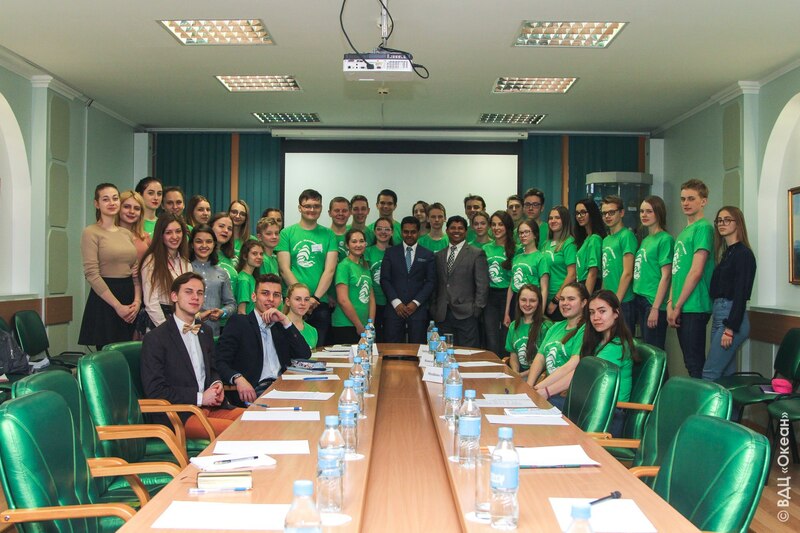 On March 24 MUNRFE Blagoveshchensk Club conducted two significant events covering Open Doors Day in Amur State University (AmSU) and meeting with the alumnus of Blagoveshchensk MUN Club Mr. Dmitry Gazzaev. During the workshop, Mr. Gazzaev shared his own MUN experience as well as delivered a lecture on the topic of overcoming the fear of public speaking from the angle of people`s psychology. 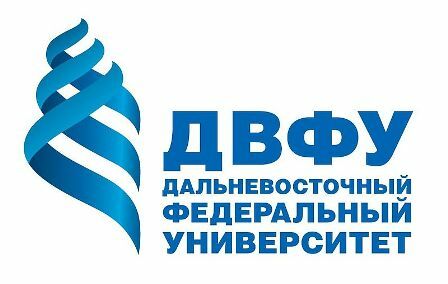 It should be highlighted that such events for Blagoveshchensk Club are precious opportunity to maintain the connection between generations of the Organization! Furthermore, on the same day with the support of the Department of International Relations of AmSU, MUNRFE Blagoveshchensk Club had an opportunity to demonstrate the visitors of AmSU its originality and introduce the main activities of the Organization in frames of Open Doors Day. 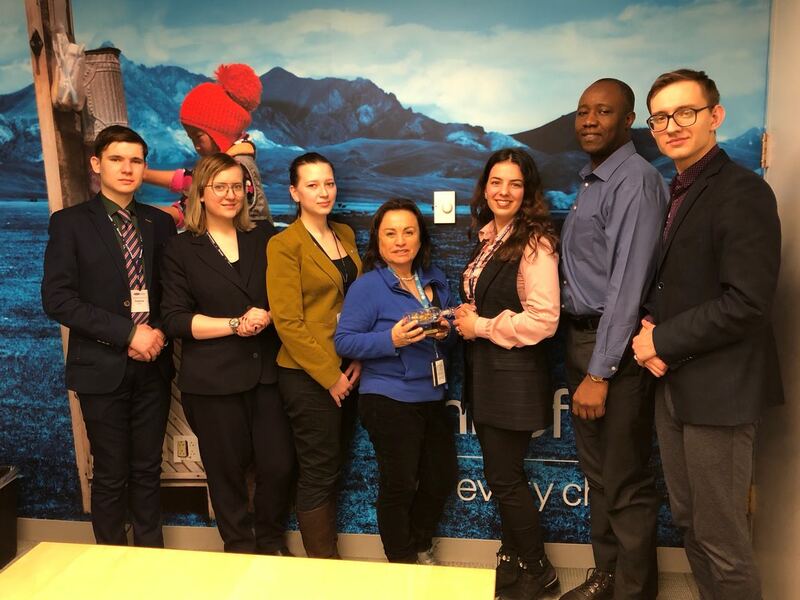 On Saturday, March 24, 2018 the global campaign “Earth Hour” was organized by MUNRFE under the leadership of Ms. Polina Varfolomeeva and Ms. Aleksandra Chernysheva. 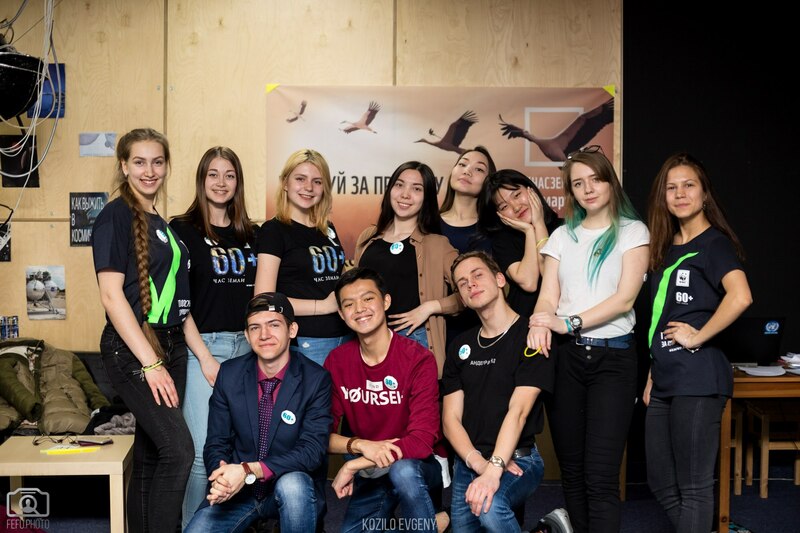 The event supported by World Wildlife Fund Russia was simultaneously held in two places of Vladivostok: at Far Eastern Federal University and at the All-Russia Children’s Center “Okean”. The main aim of “Earth Hour” is to raise awareness of people taking responsibility towards a sustainable future by turning the lights off for one hour. The electricity was switched off in the main building of FEFU. More than 300 students and schoolchildren had a unique opportunity to participate in the informative quiz, which covered questions related to environmental situation, nature protection, celebrities’ devotion to global problems and using renewable energy sources. 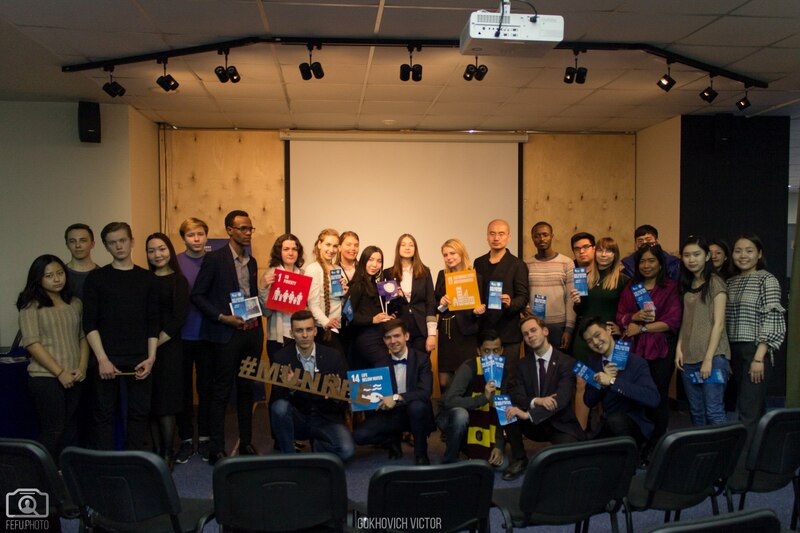 On Tuesday, March 20, young people around the world had a chance to join the Presentation of the Far Eastern Model UN 2018. During the event, the Secretary-General of the FEMUN 2018, Ms. Alexandra Kosyreva, and Under-Secretary-General for Conference Management, Mr. Egor Klimovich, have introduced the guests to the concept of the Conference. The participants learnt more about the main features of FEMUN 2018, including UN4MUN format, peculiarities of the Committees and their Agenda items. It is important to mention the Presentation was widely broadcasted via social networks such as YouTube, Instagram, Facebook and Vkontakte. Due to that, people from over the globe were able to watch the Presentation online. Notably, the students of the IBLAM Higher School of Law, MUNRFE partner form Indonesia, attended the event and addressed their questions to the Secretariat. Totally, more than 180 people including those who joined the Presentation online had an opportunity to take part in the event. 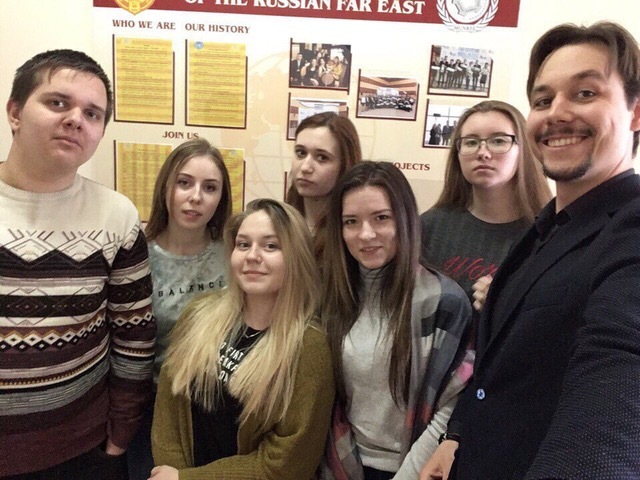 On March 17 MUNRFE Blagoveshchensk Club conducted an online meeting with the alumna of Amur State University (AmSU)and the former member of MUNRFE Blagoveshchensk Club – Ms. Vera Serdyukova, who currently works at Robert Bosch GmbH, Silicon Valley, USA. During the meeting, the alumna introduced to students facts of her personal experience of studying in AmSU as well as during her internship in China. Moreover, Ms. Serdyukova shared her own experience of participating in different international programs and provided an information about her professional field and life abroad. The Club members learnt about useful tools and unique techniques of applying for positions in large companies. 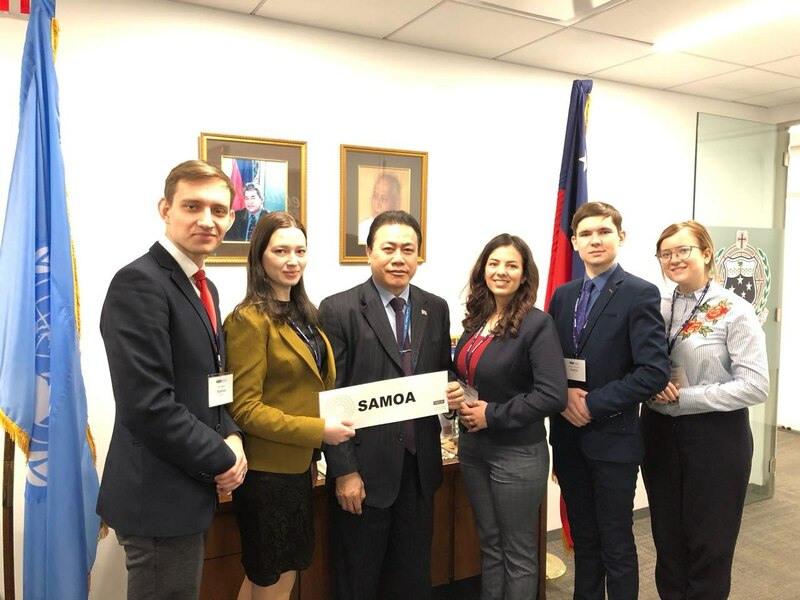 Furthermore, Ms. Serdyukova provided information about various grants, scholarships as well as international youth events and conferences young people could be interested in. 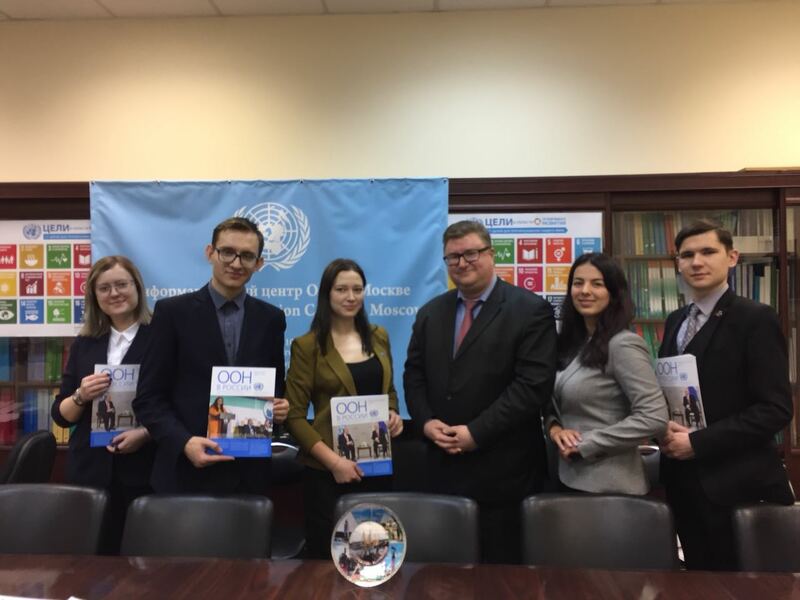 On March 15 MUNRFE delegation to National Model UN 2018 was honored to attend the United Nations Information Centre in Moscow (UNIC), Russia . Members of the delegation had a fruitful discussion with UNIC National Information Officer Mr. Vladimir S. Pavinskiy who covered the key goals and areas of work of the Centre during his briefing. Moreover, Mr. Pavinsliy shared the practical experience of working within UN Department of Public Information and coordinating activities with the main office in New York, as well as specifics of UNIC collaboration with Ministry of Foreign Affairs of Russia, institutions and universities of the central part of Russia. Additionally, he made an emphasis on the cooperation of UNIC with other UN bodies and offices in Russia, in particular, United Nations Development Programme and Office of the United Nations Commissioner for Human Rights. The meeting was also beneficial for the delegation members in frames of their preparation for the upcoming Conference and topics to be chosen.